Two months ago I had a bad fall. I know how to fall. My dance career was full of runs and jumps and down to the floor, roll, get up and off we go. I was going down our rock stairs and I lost my balance and fell backward, thankfully onto a smoother section, but I knew it was a bad fall. I took a few deep breaths to see if I had cracked a rib and felt my back to see if anything was broken. I knew I had to get up and go int the house and start to ice my back. VERY SLOWLY BY SHIFTING MY WEIGHT, I DID. THERE ARE SKILLS TO HELP US USE OUR BALANCE. SKILLS to make sure we see where we are going, and skills to know how the body works on the way down and the way up. 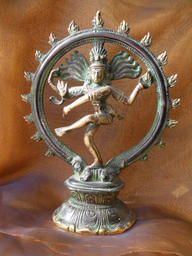 Our next Nataraja dance gathering will be Friday, April 21st, 7-830PM. Dance music playlists vary. If you love dancing or are simply curious about dancing, please come and join us! I love to dance and I want this opportunity to continue. Right now we need and welcome your help and support. Please join me if you have never been and try something fun! If you have not been in a while, please come again join us! Forget your cares and let the music take you away! We do not charge but gladly accept donations which go to a very good, local cause, the Greater Bennington Interfaith Community Services. They provide shelter to the homeless and food for the hungry, among other services. 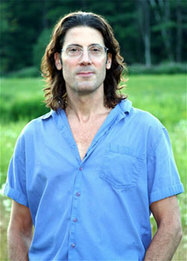 The Yoga Place donates their space as part of their community mission.